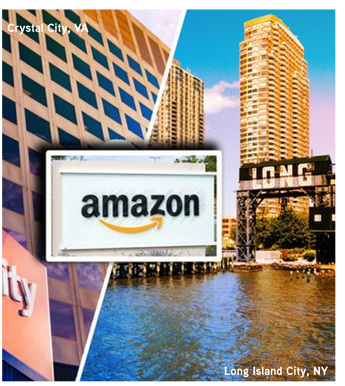 Amazon finally announced its plans to open a split HQ2 in Long Island City, New York, and Crystal City, Virginia. Nashville will be the site for a new operations hub, with 5,000 jobs. Each city ponied up tax incentives ranging from $102 million in Tennessee to more than $1.5 billion in New York—that could increase to $2.8 billion with all tax credits, grants, and property tax abatements. Boston did not offer any tax breaks in its public bid for the e-commerce giant. It’s been fun to speculate on what Amazon would ultimately do and what it would mean for Boston if we “won” the HQ2 sweepstakes. Boston has a lot to offer Amazon, and despite opting for other locales for the big job push, it’s bringing 2,000 jobs to the Seaport, with the potential to double that in a second building in Seaport Square. Boston granted $5 million in incentives for the first 2,000 jobs and would offer a similar package for 2,000 more. 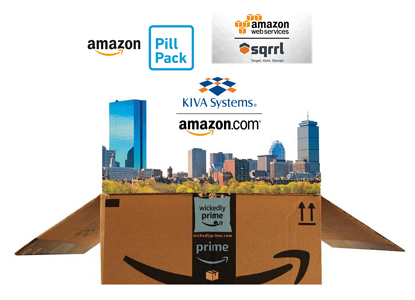 Further, Amazon recently bought Somerville-based PillPack, has its robotics arm based in the suburbs, and chose Boston as the home for a new healthcare venture in conjunction with JPMorgan Chase and Berkshire Hathaway. We’re still winning. We are a global powerhouse in medical and healthcare research, with world-renowned colleges, universities, and hospitals, and we are the epicenter of the life sciences industry. Our airport continues to grow with expanded international routes connecting us to the whole globe. Capital is enamored with our real estate marketplace, investing in more than half of Boston’s Class A and Class B office assets at least once in this cycle. We’re also on the global investment map, attracting many foreign capital sources. Tenant demand remains at record highs, and the population of our urban centers is increasing. One of the key outcomes of this Amazon woo-a-thon has been a deep look into how to be even more attractive to businesses and residents alike. Boston has a high cost of living and building housing is difficult, but a consortium of mayors plans to bring 185,000 new housing units on line by 2030. While this ambitious goal is unlikely to be met, the collaborative community-building is important. We need to invest in our public transit system, whether that is expanded commuter rail service, connected Red and Blue lines, dedicated bus lanes, or all of that and more. The Green Line Extension and new Red and Orange Line cars are all moves in the right direction, unlocking opportunities for growth. But many other areas have yet to be unlocked, and they need to be. Economic development opportunities are emerging on the urban fringe, and connectivity to job centers will be important in furthering new projects. Time will tell whether we choose to invest in our infrastructure and can house our growing population at all income levels; climate resiliency is another priority. These are much bigger-picture issues than landing a potential employer, and vital for Boston and the region’s continued growth and dynamism.